She has settled in well and is now looking for a new forever home where she can be spoiled and loved. 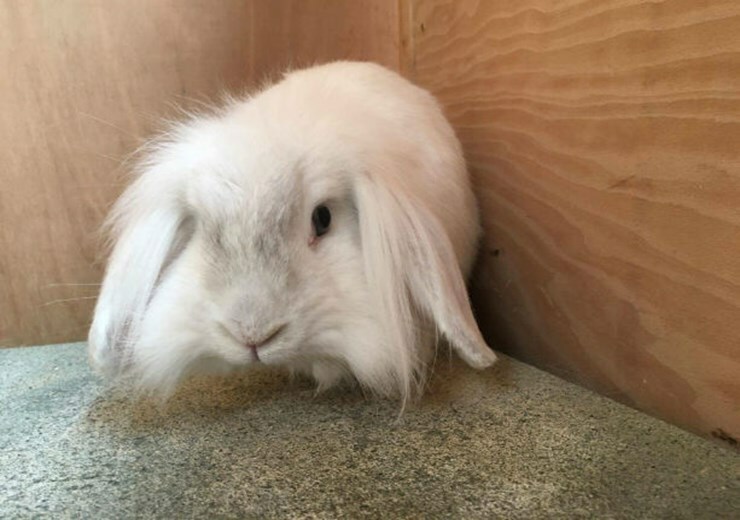 Lulu is not too great at being handled but is happy to be near you and can be coaxed out of her hiding places with her favourite fruit and veg. Although she is quite timid with people, Lulu is very confident in herself and spends most of the day being active and exploring her surroundings. Her favourite place to sit is up high so she can see everything. Lulu’s new owner will need to provide her with a large enough enclosure and run for her to exercise and keep busy. She will need regular grooming and handling and lots of fresh hay, fruit and veg. If you can offer her the home she deserves then please contact the SSPCA centre in Lanarkshire on 03000 999 999. Meet Bumble, Rachet and Jazz, our pets of the week!